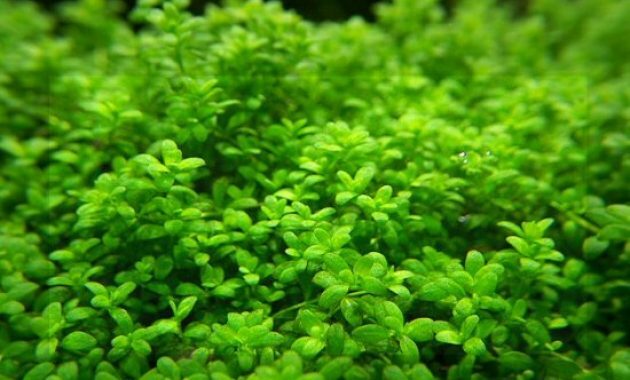 3 Best Carpet Plants for Aquascape – Carpet plant is a species of aquatic plants that grow laterally and endless like a carpet covering your Aquascape, from her name alone is appear, if water plants this one like a carpet of lush green. This carpet plants often used the Aquascaper to create lush green grass along the base of the Aquascape. 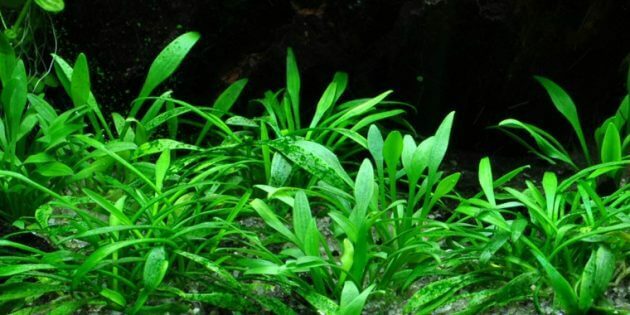 The popularity of this plant has undergone rapid development over the last 10 years, especially in the world of Aquascaping. To that end, here you will know the 3 lists of frequently used carpet plant by the Aquascaper professional. Hemianthus Callitrichoides is world’s smallest aquatic plants which are currently often used by the Aquarist. Hemianthus Callitrichoides is often abbreviated to ‘ HC ‘ is the main carpet plant in the Aquascape. The plant has small leaves, it looks lush and green creeping in nature is so popular that often known with the plant carpets. 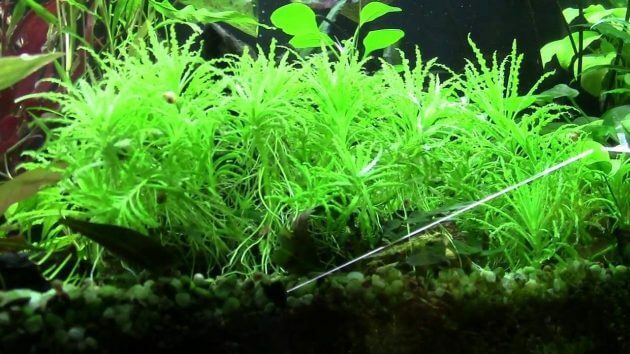 Keep in mind, if you are a beginner then it should be a little bit of hard work, because this plant is a plant that is difficult is treated by the Aquascaper beginners. This plant requires high lighting to penetrate to the base of the Aquascape and CO2 are quite sufficient at the base of the Aquascape. If the above requirements are not met, then the plants will suffer from this HC and even dead or wilted. These plants also require regular Trimming, it aims not only to keep its shape remains a neat, but also to ensure the plant carpets is not too thick. If the plant is dead or withering, they usually be lifted from the substrate and then float to the surface. With the small size of the plant this plant, making the HC it into plant “sense of scale” in Aquascape. Echinodorus Teneluss or commonly known as ‘ Mini Amazon Sword ‘is a plant species of the Group section of the water sword plant and one of the smallest water plants. This plant has a long leaf like shape of the leaf. 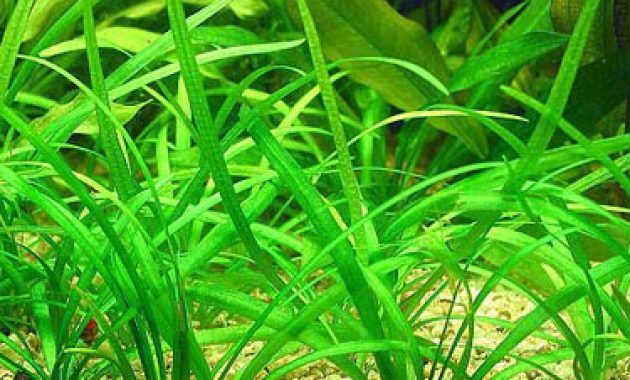 These plants propagate life under adequate light and brightness can be used to make carpet plants in your tank. Echindorus Tenellus is one of the plants that are easily maintained for the Aquascaper beginners or minimal experience. 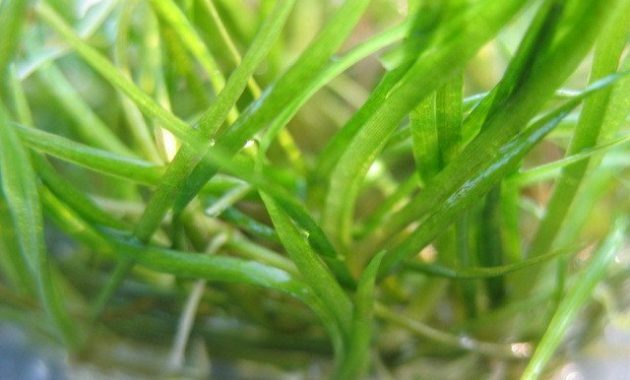 Sagittaria Subulata is also known as ‘ Dwarf Sagittaria ‘, this plant is excellent for planted by Aquascaper beginners because not many demands of the moment take care of him. This plant has a form similar to the leaves of Echinodorus Tenelus i.e. having long leaf forms such as carpets. 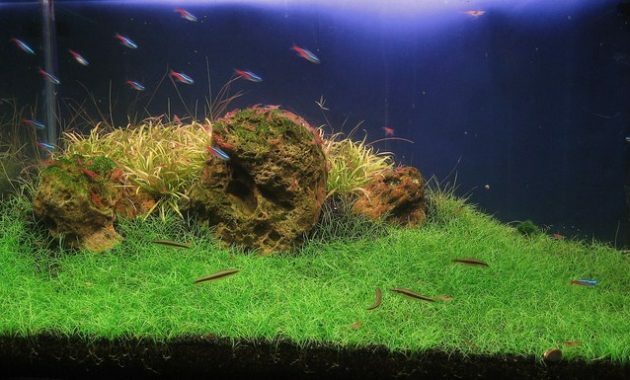 Don’t forget to crop it regularly in order to plant the carpet in your Aquascape can look attractive. 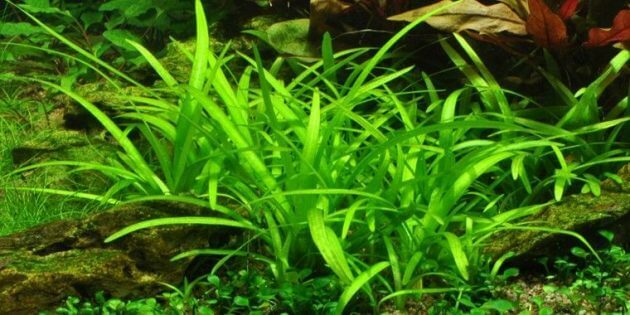 Hopefully the information about Carpet best for Plants 3 Aquascape can this be useful for you Aquascaper!